The original juicy fruit-slicing action game enjoyed by millions of players around the world. Become the ultimate bringer of sweet, tasty destruction with every slash. 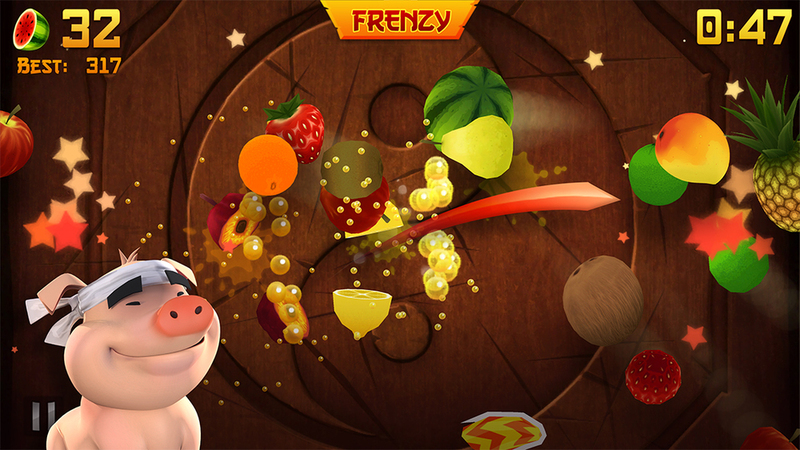 Play Fruit Ninja like never before! We've rebuilt the legendary original slicing game from the ground up, adding fresh new gameplay and characters for new and existing fans alike! 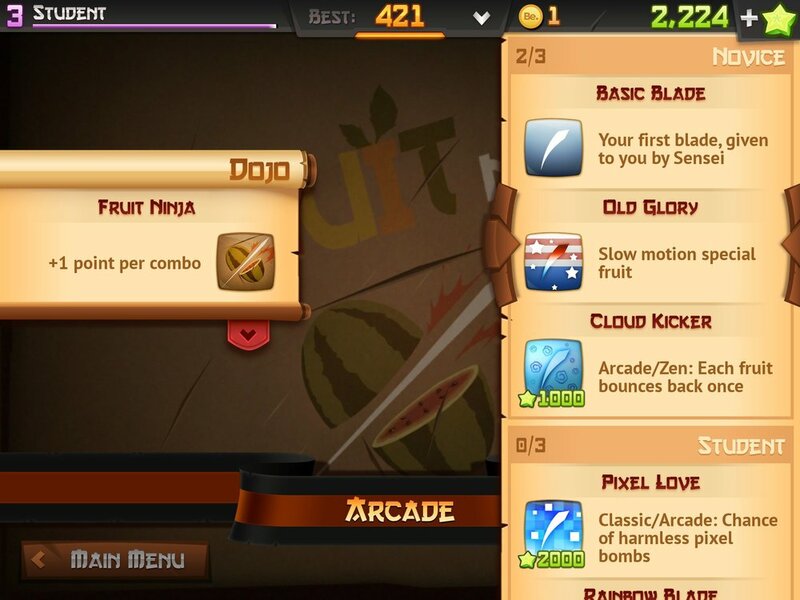 In the biggest addition to Fruit Ninja since launch, all Blades and Dojos now have a unique effect on gameplay. Want a ten-fruit Great Wave? Bouncing clouds to never drop a fruit? Swirling tornados for epic combos? Mix and match your gear, experiment with all the powers and find what works for you! Co-designed the Fruit Ninja 2.0 relaunch in a team of three designers. Designed unique mechanics for numerous blades, and collaborated with gameplay programmers to add satisfying visual feedback. Responsible for overhauling and updating all of the UI, working closely with the Art Lead. Designed and implemented extensive UI for touch devices; mode select, in-game HUD, results screens, leaderboards, blade and dojo selection screens. Implemented, tested and evaluated UI wireframes. Designed and paced a levelling/unlock system for all of the blades and dojos, taking direction from the Design Lead.